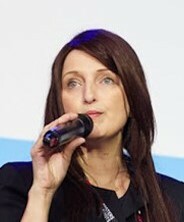 Leesa Soulodre is a deep tech pioneer, speaker, educator, mentor and super-connector. She has worked for 20+ years at the cutting edge of innovation, technology and strategy consulting. She has led companies from seed to $14B into new markets and supported in the raising of over $35M in Seed to Series C investments. She has had one IPO, a number of successful exits, and knows the hard knocks of lessons learned. She has 15+ years of Digital Director and Board Advisory experience in the not for profit, academic and private sectors. She supports many of the world’s most promising early-stage companies in accelerating growth and is actively engaged in pioneering new technologies across the sustainable energy, robotics, and automation, safety, security and surveillance, mobile gaming, biotech, medtech, responsible investment, SaaS and e-commerce sectors. She is currently hands-on-in-house as Chief Innovation Officer at Inspirit IoT, Inc.
Leesa serves as an Adjunct Faculty Member on the Singapore Management University and IE Business School MBA Programs and lectures on the Singapore Institute of Directors Program and Singapore Civil Service College Innovation Programs. As an Expert, she is called upon each year by the European Commission Research Agency to assess projects for the Horizon 2020 SME ICT Disruptive Innovation Fund.